In the age of information, it’s easy for a company’s audience to feel overexposed to marketing and ads. It’s also a lot of extra work for an organization’s staff to keep up with a multitude of platforms. It’s time to simplify marketing efforts, for the benefit of both the organization and purchasers. 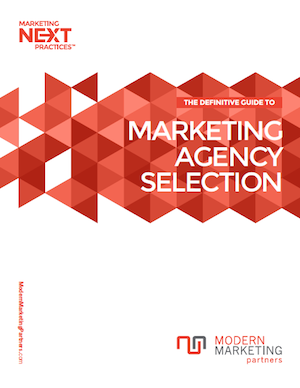 There are a number of ways to simplify your organization’s marketing process. Follow any of the following tips below for a simpler process. 50% of marketers use 10 or fewer profile segments, while the other half use up to 100 segments. Clearly, many businesses aren’t as focused as they believe they are on target audience. If your business’s profile segments exceed 10, it’s time to rework. This allows for a more focused target audience, and eliminates the clutter of unnecessary marketing efforts to those outside of that target. Many purchasers spend a significant amount of time on comparison shopping. An expansive product selection adds additional time to this already exhausting decision. Moral of the story: don’t make it harder than it has to be. Excluding low-value purchases, it’s almost always more effective to make the decision for them. Limit the company’s product/service options to 2-5. This way, there’s no “choice paralysis,” which takes place when too many varieties overwhelms the buyer, making them unlikely to make a purchase at all. They’ll also be more satisfied after purchase, trusting that they went with the right decision, instead of dwelling on what might have been. Ads only have moments to catch the audience’s attention. Throwing every last detail into that condensed bit of time will overwhelm them – and they’ll move on. Instead, provide a short message of what the business is and follow it with an easy call-to-action. It’s a simple formula: tell them what the brand is about and what they need to do, all while skipping unnecessary details. It’s said that 20% of marketing does about 80% of the work. Keep this in mind when prioritizing which platforms to focus on. Identify which tools to invest in, and either delete or scale back the rest. Social media may be free and, at times, very successful, particularly for B2C marketing, but it’s still lacking in some ways. SEO, websites, and email are often where a B2B business should focus a majority of their time on. If your business chooses to use social media, focus on building on relationships that already exist with buyers and try to foster a more meaningful connection, but don’t expect to earn a flood of leads from social media. Depending on whether your company sells goods or services, you’ll likely have either a contact form or checkout screen on the company website. Make this as simple to access and complete as possible. Limit the number of steps required and only request necessary information. One contact line or page too many can lead the buyer to quit the process altogether. Carefully consider every step and eliminate anything unnecessary. Also, monitor how frequently buyer’s don’t finish forms or checkouts, and try to figure out when and why. This will clue you into how to make the process easier. Focus on what matters: the right buyers, the right service/product, the right information, the right platform. By choosing what sells best, on the right media, to the right buyer, money and time can be more efficiently used. Buyers are also sure to be more satisfied. The world is complicated and loud enough, why add to the chaos? Simplified marketing is better for all involved.